Wedding Oak Tree sits just outside of town. According to legend, this ancient oak was a huge focus site of Indian marriage ceremonies. Early settlers adopted the tradition, and it is still a popular wedding venue today. It is listed among the historic trees of Texas. Just down the road the Beveridge Bridge, established by John Beveridge as a river crossing, serves as a historical relic. Colorado Bend State Park is located just down the road from San Saba. Adventure lovers can make a three mile round trip hike to world renowned Gorman Falls to watch half a dozen cascade from limestone as high as 60 feet or explore the underground of canyon lands in the park. A guided wild cave tour leads guests on a speleoadventure crawling, sliding and climbing through small caves and large chambers. The bustling Jordan Cattle Auction is one of the largest, and most successful cattle auctions in the country. Weekly auctions are held both online and on-site with live auctioneering complete with pie for the show. Combined the San Saba and Mason markets sell 35,000 to 40,000 head of replacement females annually in addition to weekly sales. Harry’s Boots has provided high quality western wear and boots to the Texas Hill Country and beyond since 1939. Founded by Ike Shapiro who was joined by son, Harry, they built an authentic Texas landmark. The “weather wall,” where important local weather events of the early to mid-twentieth century were recorded by hand is still displayed inside of Harry’s. 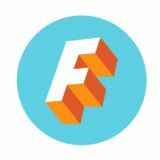 The store offers vast selection, high quality merchandise and competitive prices. Harry’s has over 12,000 square feet of store space, including a dedicated hat room, and sprawls across five buildings. Originally built in 1913 by W.C. Dofflemyer, the historic Dofflemyer Hotel was renovated and opened in 2015. The boutique inn boasts six luxurious rooms blending rustic charm and simplicity with sophisticated elegance in a perfect paradox of past meets present. Located in downtown San Saba, the hotel packs tremendous ambiance and first-class accommodation into its boutique space. Each room is individually and uniquely decorated, outfitted with plush beds, soft linens and craft products. From signature robes to welcome pecans, comfort and utility abound with no detail overlooked. The Classical Revival-style courthouse stands proudly over downtown San Saba. Constructed of brick and sandstone, representative of a special period in Texas history, the 104-year-old courthouse features classical elements like a domed clock tower, iconic capitals, two-story columns, and dentated cornices. The clock on the cupola of the San Saba County Courthouse downtown has been keeping time for the citizens since it opened in 1911. Downtown San Saba is undergoing extensive renovation. With a commitment to restoring the beauty of their roots, allowing San Sabaâ&#x20AC;&#x2122;s history to shine, new businesses are beginning to populate the ubiquitous smalltown square. Approachable, walkable and rustically charming, downtown is now home to wineries, eateries and excellent shopping and hosts events like the annual Sip Nâ&#x20AC;&#x2122; Stroll. Madeleine & Me, the town’s local gift shop, is laced with Texas’ welcoming spirit and San Saba’s boutique charms. Madeleine & Me offers seasonal and holiday decor, in addition to local home products, house wares and decor, registry items, confections and gifts. Housed on the historic downtown strip, Madeleine & Me’s roots stem back to 1931 when the building housed the town’s first variety store. The award-winning Wedding Oak Winery is housed in a beautifully restored 1926 tasting room and a 10,000 case winery. Owner Mike McHenry is known for celebrating the unique growing conditions for Texas grape that are grown in their estate vineyard and sourced from the Hill Country and the High Plains. Wedding Oak Winery has won dozens of recognitions, most recently being attributed with one of the best white wines in Texas by Texas Monthly. Old Man Scary Cellars, opened in 2015, is Texasâ&#x20AC;&#x2122; first incubator winery. Award-winning winemaker, Penny Adams, oversees the wine production for Old Man Scary Cellars and has already won three awards with three submissions in 2016. Located in a historical downtown building, the space has been repurposed into a contemporary retail tasting room and winery production facility. Old Man Scary gets its name from an old house on the owners property that the youngest son thought was haunted. Old Man Scary offers a wine club, wine tasting and lounge, live music and other special events. Six million gallons of artisanal spring water flow over the falls in Mill Pond Park daily. The three-acre park offers a swimming pool, pavilion, athletic ball courts, picnic sites, two miles of walking trails, camping sites, as well as the San Saba County Historical Museum and the San Saba Civic Center. Mill Pond House and water wheel, erected in 1875 by John H. (Shorty) Brown served as a water wheel powered grist mill for corn and wheat. The park is also home to the Harmony Ridge Bridge made of rugged steel and moved to the park as a tangible reminder of San Sabaâ&#x20AC;&#x2122;s roots and past. San Sabaâ&#x20AC;&#x2122;s 18-hole municipal golf course is widely revered for its challenging play and spectacular beauty. The San Saba River Golf Course has been voted one of the best places to play six years running by Golf Digest (and earned a 3.5 star rating). The course plays through a forest of 2,600 pecan trees, making the fairways tight and there are several ponds without bunkers making the course challenging. Throughout town you’ll find restaurants dishing up San Saba’s specialties: comfort food, steak and BBQ. Digg’s Steakhouse (above) slings mesquite-fired steaks alongside burgers, chicken fried steak and quail. Stay on after your meal for a round of pool or a dance on nights when they have live music. From the pulled pork and chopped beef sandwiches to brisket and pork chops to homemade ice cream, Youngs Burritos and BBQ (below) embodies the flavor of San Saba’s culinary leanings: family-oriented, simple, straightforward and tasty. Alamo Pecan & Coffee is San Sabaâ&#x20AC;&#x2122;s only gourmet coffee house offering their famous Texas Pecan Coffee, in addition to smoothies and tea. The storefront also boasts Alamoâ&#x20AC;&#x2122;s wide variety of confections including all manner of sweet and savory pecans, pecan pies, pecan butter and fudge. 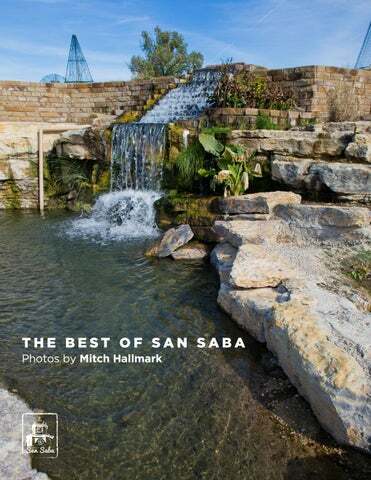 The best photos and images from the beautiful city of San Saba, Texas.